PopCap definitely did a great job with Plants vs. Zombies: Garden Warfare so it’s natural they would make a sequel right? 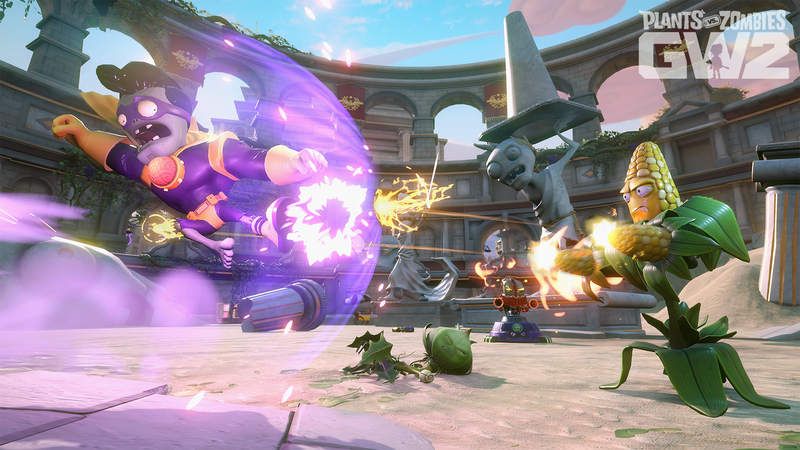 They don’t aim to disappoint with their next entry, Plants Vs. Zombies: Garden Warfare 2 either. By completely flipping the whole plot around from the first game while still keeping the same fun gameplay as we all remember (or still play!) from the first and adding even more plants and zombies to play as. To start with on PvZ:GW2, they have turned the good ol’ suburbia you were defending from the zombies as the plants and now is called Zomburbia and now the zombies are on the defense against the plants. This of course changes up a few game modes, not too much but enough to give you a new and refreshing experience from the old grind of something like Garden Ops instead of being the Plants defending your garden against wave after wave of Zombies, you’re instead the Zombies defending your graveyard against waves of plants including huge bosses from Crazy Dave of course. 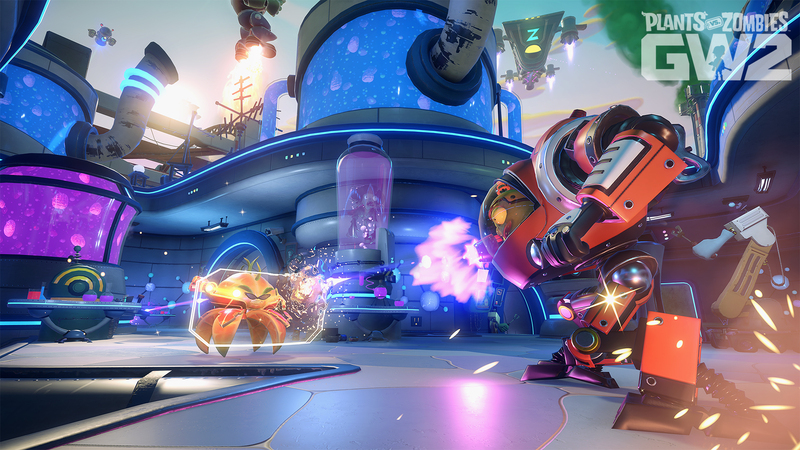 Plants Vs. Zombies: Garden Warfare 2 will also feature a convenient feature for previous players of the first Garden Warfare game, allowing you to transfer over the progress of your Plants and Zombies that are in the previous game so you won’t have to level them over again. This feature is optional however, as we all know sometimes unlocking the abilities and levels of the characters can be some of the fun. 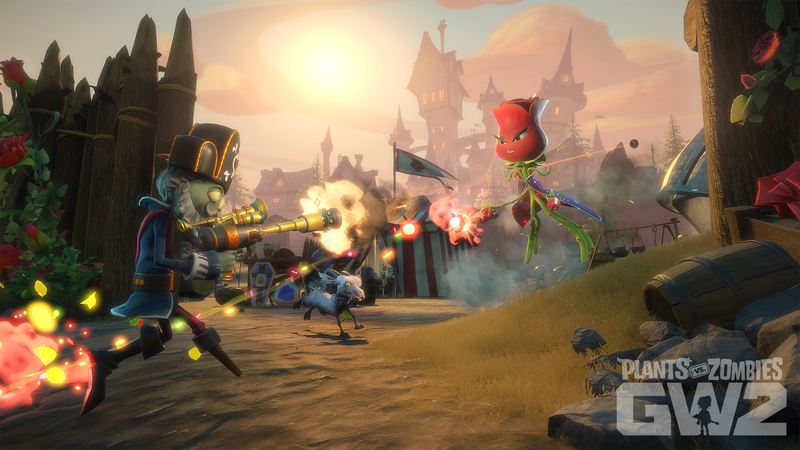 Also mentioned by the PopCap team at E3 was, of course the continued content addition after launch as they did with Plants Vs. Zombies: Garden Warfare giving you extra content for free. A rare thing now days between a few companies keeping the extra content after launch free and a great gesture to the loyal Plants Vs. Zombies fans. Getting down to what I got to play at E3, was a fun match of Graveyard Ops! We all got the opportunity to play a new zombie each, Imp and Z-Mech, Captain Deadbeard and myself, Super Brainz (Fitting right?). I’m able to speak mostly from the point of Super Brainz and how he played, and it was fun. Super Brainz is the first melee zombie hero introduced to the Plants vs. Zombies Garden Warfare series though he does sport some decent ranged abilities as well. Rocking a Super Jump, Heroic Kick, Super Ultra Ball (Fireball pretty much) and, Turbo Twister (Close range AOE abiltiy) he was a potent force and really I only had issues when Crazy Dave came into play with a fun fun game of his slots… We naturally got one of the harder possibilities, three “Super Giga-Torchwoods” but we ended up taking them out in time before they could get our Graveyard. The map we played was in the Z-tech Factory that naturally the plants have snuck into and it’s our job to defend the graveyard. It was a fairly straight forward map that was surprisingly fun and detailed however. We ended up spending more time near the graveyard naturally but in the opportunities we got to explore showed a fairly big map that could end up in some interesting gameplay on other modes possibly. Lots of different levels to the stage for snipers, flanking or, even just getting away. Overall, Plants vs. Zombies: Garden Warfare 2 was one of the most lighthearted games I got to play along with Unravel but still had the fun and excitement one would expect. I expect to get a bunch of fun out of it when the game releases and I hope to see a large community to support it for a bunch more free DLC for it as well as another sequel if they keep up this quality.